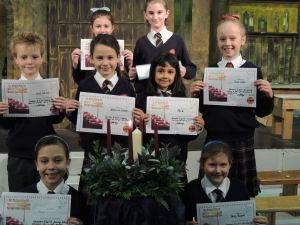 Today Mrs Roffey and The Wings introduced the theme of Advent during our whole school assembly. 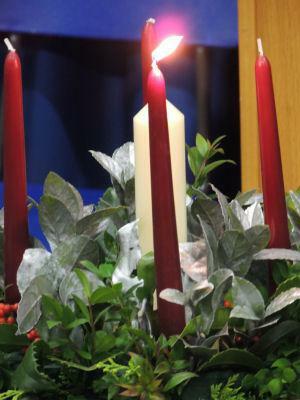 We lit the first candle of the Advent wreath for the first of 4 weeks leading up to Christmas. The Members of the Wings group presented their certificates for children nominated as 'Light of the Week' for this week - children who have shown generosity - our value for this half term. Despite the hall being set for the upper school Christmas Production, with our very grand stage, we still managed to meet up as a whole school, joined by our vicar, Reverend Charles Overton.